WASHINGTON -- Negotiators from Canada and Mexico grappled with U.S. demands to drastically alter the North American Free Trade Agreement on Saturday, as talks over renewal of the pact vilified by President Donald Trump ran through a fourth straight day. Some downcast participants said the demands, unveiled this week in line with Trump's "America First" agenda, have increased the odds of NAFTA's demise. At the very least, they could make it impossible to reach a deal renewing the treaty before a year-end deadline. "The atmosphere is complicated," one trade official told reporters, adding that his fears about some "pretty harsh, pretty horrible" demands from the U.S. side of the negotiating table were coming true. Speaking on condition of anonymity because the talks are confidential, the official added the U.S. stance "has a clear protectionist bias, a bias that is trying to eradicate, minimize, eliminate the mechanisms that existed in NAFTA in the last 20 years." Trump, who blamed NAFTA for shifting U.S. manufacturing jobs to Mexico during his election campaign last year, has repeatedly vowed to scrap the treaty unless it can be renegotiated on more favorable terms. At the mid-point of seven scheduled negotiating rounds, many of the U.S. proposals appear aimed at turning back the clock on changes in the global economy since NAFTA took effect 23 years ago. 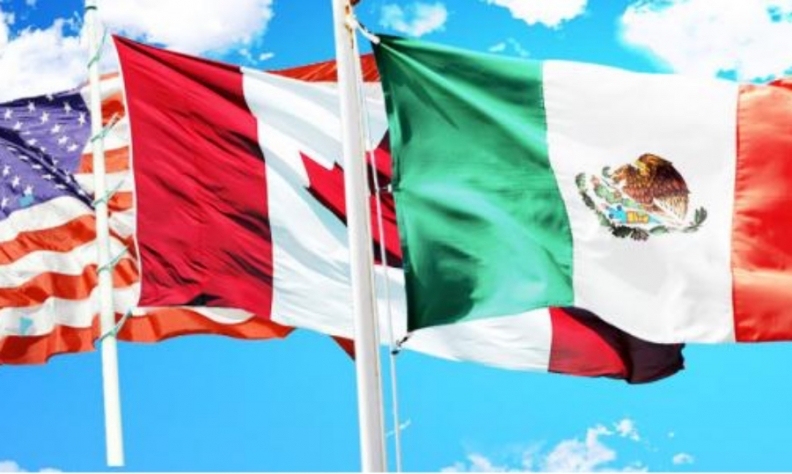 Collapse of the deal could reverberate well beyond North America, where trade between the United States, Canada and Mexico has more than quadrupled since 1994. Former Mexican Trade Minister Jaime Serra, who was responsible for negotiating the original trade pact, said there was no economic logic to the U.S. demands. "Issues are being put on the table that are practically absurd," he told Reuters. "I don't know if these are poison pills, or whether it's a negotiating position or whether they really believe they're putting forward sensible things." Some officials from NAFTA governments said they knew all along the negotiations would be tough, but vowed to soldier on through the three remaining scheduled rounds of talks. "We said from the beginning that this was never going to be easy," Canadian Trade Minister Francois-Philippe Champagne told CBC radio. "We want to be at the table, be constructive, offering alternative proposals." One of the U.S. proposals unveiled this week would require that 50 per cent of the value of all NAFTA-produced cars, trucks and large engines come from the United States, people briefed on the negotiations said. The same proposal calls for a sharp increase in NAFTA's regional automotive content requirement, boosting it to 85 per cent from the current 62.5 per cent. The existing level is already the highest local content requirement of any trading bloc in the world. Meanwhile, the Trump administration's call for a so-called NAFTA sunset clause would effectively trigger a renegotiation of the pact every five years. Serra said the U.S. content requirements would distort NAFTA trade with "pure protectionism" while the sunset clause would choke off investment decisions with uncertainty. U.S. negotiators also want to end a trade dispute settlement system that has deterred U.S. anti-dumping cases while erecting new protective barriers for seasonal fruit and vegetable growers. And though Canada and Mexico had sought more access to U.S. government procurement contracts, they were met this week with a proposal that would effectively grant them less. Even before the current round of negotiations got underway in a suburban Washington hotel, U.S. Trade Representative Robert Lighthizer said NAFTA was "lopsided" in favor of Mexico and Canada and needed major changes to rebalance it. "The president has vowed to bring jobs and investment back to the United States," Lighthizer said. "We will do no less." One of Lighthizer's predecessors, Robert Zoellick, said he thought there was a 50-50 chance Trump would quit NAFTA. "He's trying to go back to make trade agreements fix the bilateral trade deficit. I don't believe he can be successful in doing that," Zoellick, now non-executive chairman of AllianceBernstein, told a banking conference in Washington on Saturday.